Another month, another haul. Quick fact here - I bought this all that is pictured in the first image at the beginning of September and some in the end of late august...however I may have had to buy a few other things later in the month so they are down at the bottom. 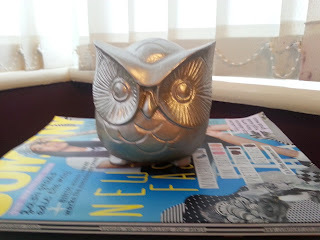 This is a range of different things and I think I need to go on a spending ban, this is just got out of control. First stop as usual was Primark! I needed a few more basic and simple tops/jumpers for school and only ended up buying 2 to see how they go. The first is one of there basic long sleeve t-shirts in blue and white, these are great to just wear in the winter with a cardigan and jeans. 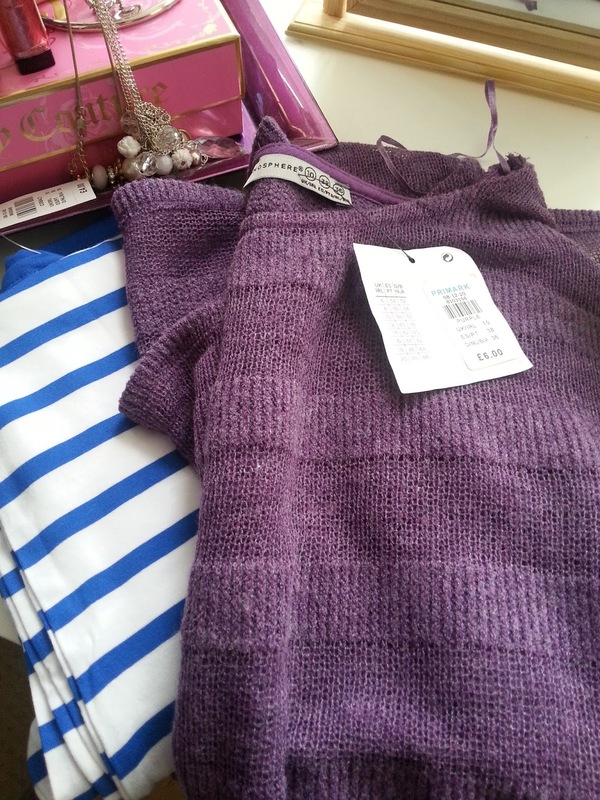 I also bought a thin jumper from there basics range, to test it out and see how it feels in the colder months - there were a few colours but the purple stood out to me. I always seem to be buying make up wipes,but I go through them so quickly that I would rather just buy them whenever I can and have them in back up as such. I can always guarantee on Primark to have wipes on offer and these exfoliating with cucumber were only a £1 and I just couldn't resist! Every time I go in to the store I spot the nail art pens and when they they had a big red sticker that said £1 on I just grabbed them and bought them. I have also lost my handbag mirror so I bought my self a simple one that I can keep with me from now on. I only seem to have big chunky bracelets in my cupboard, so when I saw these simple and small ones I thought that they would be great to stack and wear just like that. Finally, a bought a set of silver rings as it has the cutest little silver bow ring and a dupe that is similar to pandora rings you can get. 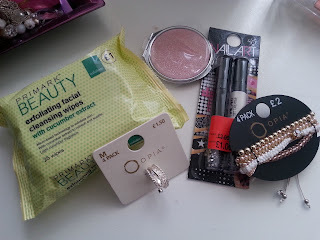 Superdrug is so close to me now when I am at school, that I just can't help but go in for a browse. Late August I bought 5 of the baby lips which you can read more about here. 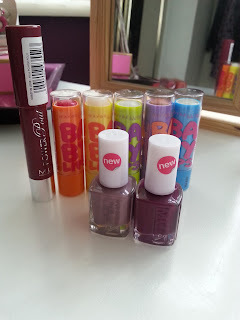 I also finally bought an MUA Power Pout, these are just the cheaper versions of all them lip gloss things that are out there and I got the shade 'Crazy In Love' which you can also read more about here. Then I found these two nail polishes that are amazing colours for the autumn/winter time as they are deep and just lovely. A few random purchases here! I had the chance of trying Wonka Nerds a few months ago and have been on the hunt for them ever since, when we found out that a local sweet shop stocked them as well as other american food goodies I bought two boxes which will keep me going for a while now. If you have never tried these; then I highly recommend them! Ever since I browsed the Yankee Candle website the other day I have wanted to buy these two tarts so bad..I usually buy the tarts from Yankee as a test to see whether or not I like them and then work my way up the candle ladder as such. Both 'Salted Caramel' and 'Vanilla Chai' have been burned and both smell amazing.. I will be buying the samplers next and a little tub too. And just like I expected, I have bought a few more items! 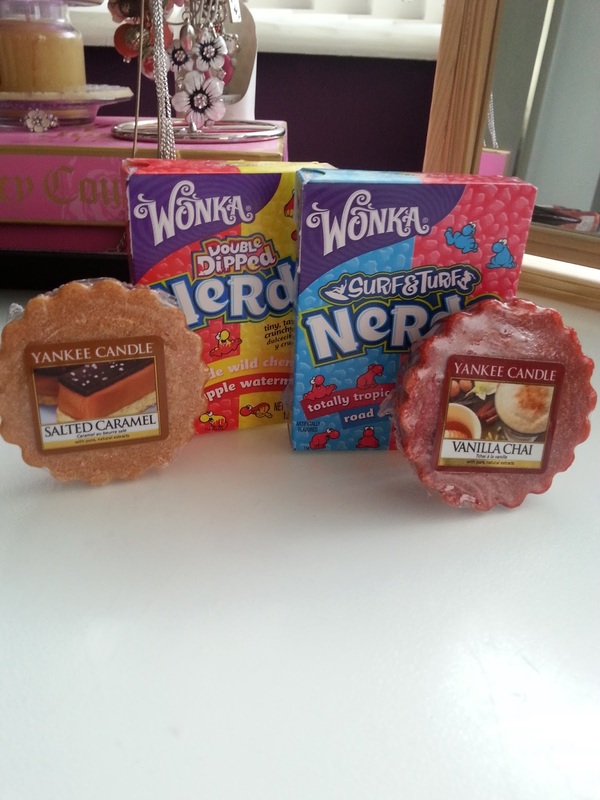 I popped back in to Yankee Candle and bought some more tarts and samplers to last me right up until Christmas! They always seem to have a basket full of goodies of the scents that they have now discontinued and one of my favs 'Strawberry Buttercream' was in that bit, so I picked that up. 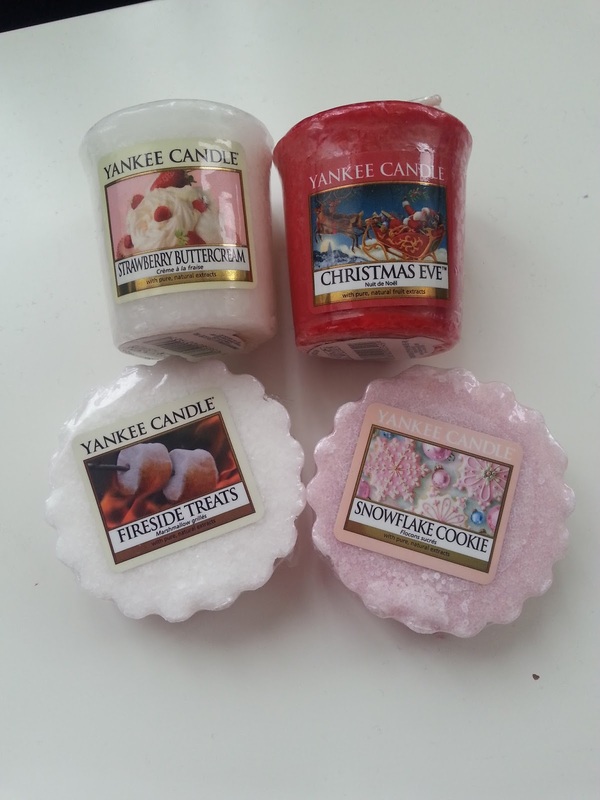 Then the other sampler I got was 'Christmas Eve' for that day as I love the smell! And then for tarts I bought 'Fireside Treats' which just smells all warm and cosy and one of their newer scents 'Snowflake Cookie' if I love this then I will be buying the jar and so far it smells amazing. 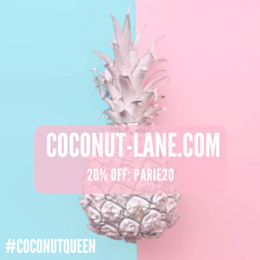 I then did a quick shop in Store Twenty One as it is very near to me, they don't usually have the greatest of clothes their however everything else seems to be amazing at this time of year! 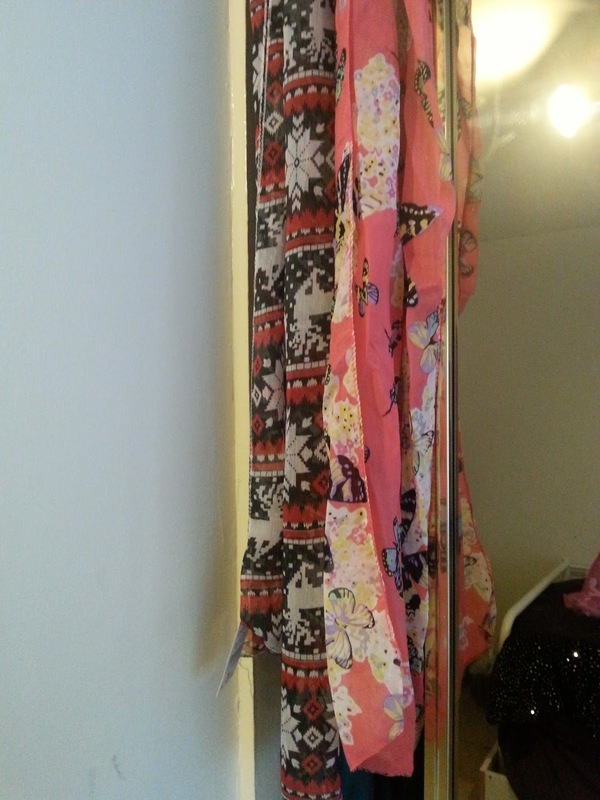 I bought two scarves as they were buy one get one half price, one is a butterfly print and the other is a Christmas print for the late winter season. I also saw this cute ornament of an owl that I have put on the top of my books on my desk and it looks so cute, and is my new best friend! That's is for this month, don't expect one next month as I need to stop spending money!! 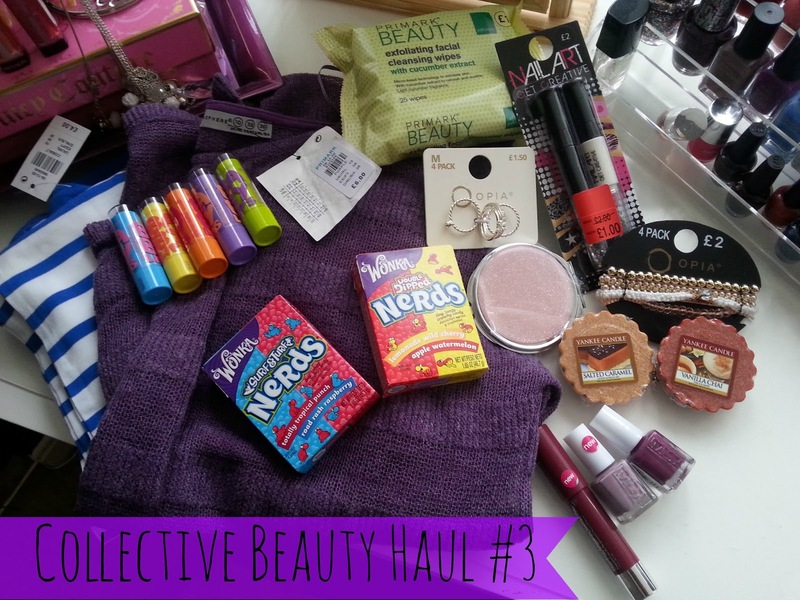 I am having a giveaway on my blog, feel free to enter! Do you also follow me on gfc? thankyou, i can't stop wearing them!